Today’s daily photo was taken while exploring the wilds outside of Kyoto a few weeks ago. It was a beautiful place! 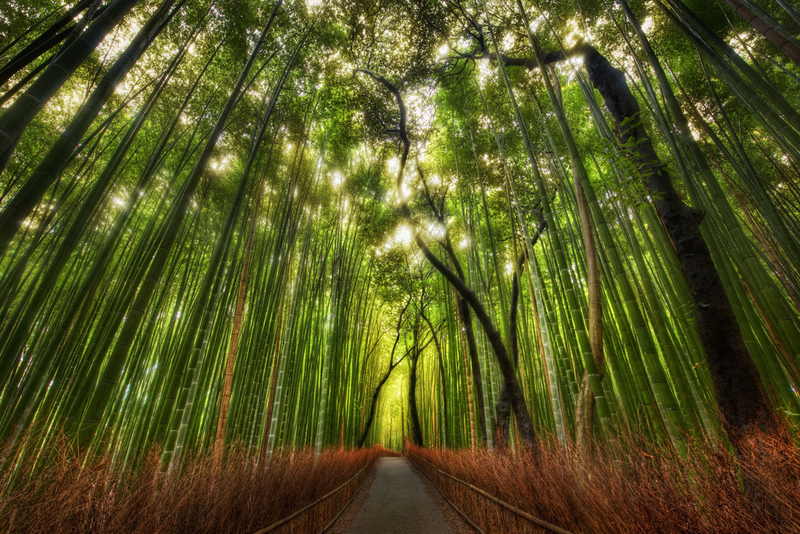 The walk took me into this giant bamboo forest. After strolling through it for a short eternity, I set up for shot. This is a standard 5-exposure HDR; it was shot with a 14-24mm lens. For those of you new to the site, you can find out more about my process in the HDR Tutorial. Some Twitter Lists for You! As you guys know, I’ve been using Twitter for the past 27 years or so. Over that time, I’ve built up a good list of people to follow. Now, I can share this list and more very easily with you. When you visit the links below, you can “Follow” the list. Or, you can also go through and follow the individuals. Any questions? Just ask below! Stuck In Customs Community – This is a list of everyone around here that has signed up on this thread (you can sign up there too!). This is a great “channel” to listen into to hear everything that’s going on with all of us! If you ever need advice, have questions, or just want to share, be sure to follow the people inside and talk it up… that’s what Twitter is for! *Make Recommendations for this list here! Art for the Right Brain – Here is a collection of inspirational artists, designers, illustrators, and the like that I find inspirational. I didn’t really add any photographers to this list… *Make Recommendations for this list here! Art Museums to Know – Did you know there are Museums on twitter too? They talk about new exhibits,visiting artists, special events, and the like. *Make Recommendations for this list here! Funny Twitter Heads – A collection of very funny people on Twitter. If you are easily offended… don’t look! *Make Recommendations for this list here! Wow – Nice Tweets! – A random assortment of people that I follow that send out all kinds of interesting Tweets on this and that. *Make Recommendations for this list here! Do the good people on here a favor. Follow the list, and then go through and follow some of the most interesting individuals inside. Twitter is better once you build your own personalized list, and this will be a really good injection of inspiration into your world, I hope! Then you can then easily switch to that “channel” in Twitter to see the latest. Also, very soon you’ll be able to add that List as a Column in Tweetdeck, a program I highly recommend. As soon as they enable this, I’ll come update this post! And, of course, be sure to tell your friends the fun of lists, especially those new to Twitter. If people start out by getting good links with nice art and funny comments, it makes it a much better experience from the beginning!